Just as March begins, Venus leaves Capricorn and enters Aquarius, the sign of universal brotherly and sisterly love, in fact Venus begins and ends the “Merry Month” interacting with Uranus. This can be construed as a temporary letting go period to explore new avenues. By contrast, the effect of holding on too tightly could seriously jeopardize the relationship’s ability to grow through new levels of experience which Venus wants to create during this period. Essentially, consider opening your heart to welcome the surprise that occurs when/if your partner or family member (child or parent) comes home with something that changes your life in a productive way. It could simply mean your home needs a make-over or that you do! This aspect, when Venus squares Uranus at 29 Cap/Aries, occurs on March 1st and will be the last square (cardinal) of this kind between these two planets for a very long time. That’s it. Also on that day, Venus enters Aquarius and may inspire you to walk away from a long-time passion or desire and contemplate a brand new direction in life as this electric passion tends to be very enlightening. Aquarius, like Capricorn, is a sign whose planetary guardian is Saturn ~ yet with the extra guidance of Uranus to answer to. In other words, in Aquarius, Venus unshackles herself from the rules and regiments that are expected of her in Capricorn and gets to be a whole lot more creative—in life, in love and in creativity. She may still follow the protocols that were set in place while she was in Capricorn yet in Aquarius she gives herself the liberty of voicing her opinions and crusading for changes that have been a long time coming. If you have Venus in Aquarius or are involved with one who does, expect her to voice her opinions, push for equality, and be somewhat of a role model. This is also true for those with the Venus Star Point in Aquarius. These individuals have shown themselves to be crusaders and change-agents, garnering a distinct following for their stance on social matters and how they present themselves. They have often been the “rock stars” of their generation. With Aquarius being so closely associated with the planet Uranus, especially in this last century, the position of this change-agent planet begs to be recognized and applauded this month. On March 6th, Uranus moves from Aries to Taurus, Venus’ sign. And there in Taurus shall Uranus remain for the next seven years! 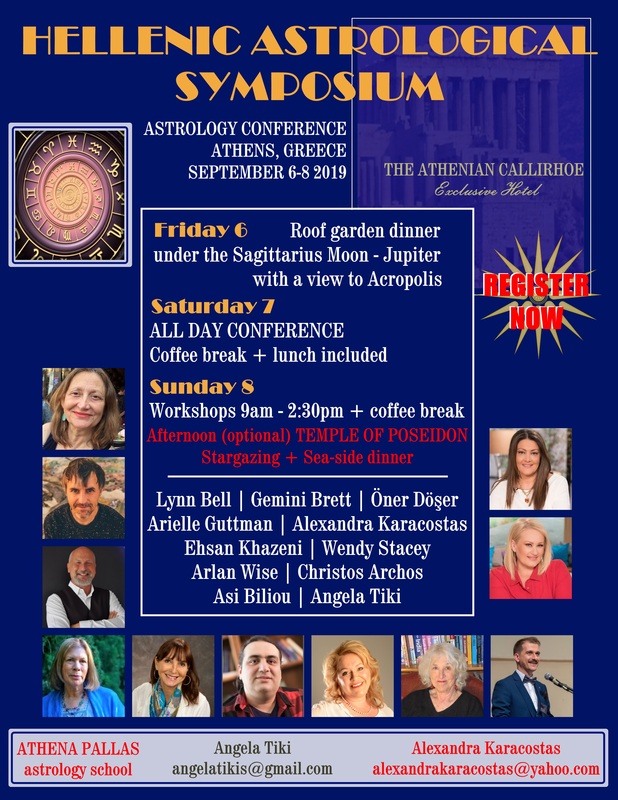 This move also presents an interesting pattern called “mutual reception,” where Venus will be in Aquarius (in Uranus’ sign) and Uranus will be in Taurus (Venus’ sign) giving them a strong connecting point and a definite sign of cooperation. This bodes well for the seven year transit of Uranus through Taurus in that Venus will, at its inception, be a house guest of Uranus. This exchange brings all types of opportunities in which the two can intersect on a socially progressive, artistic and creative level. It gives rise to women’s voices being heard on an unprecedented scale in our “his-story” and it also presents a stage for new types of relationship patterns to evolve during this next decade. The social being that is Venus and the unusual partnering patterns of Uranus have given rise to all forms of non-traditional relationship patterns such as polyamory, bi-sexuality, and gender shifting – those in stark contrast to the historically familiar female-male partnering relationships. Furthermore in the romance department, Venus meets up with Mars for several tangos this March. Last month, on the 14th of February—Valentines Day, Mars entered Taurus, the sign ruled by Venus and later on March 10th and the 21st, she and Mars will dance once again. There is a slight bit of tension in these aspects, as Venus in Aquarius longs for freedom and something new while fixed Mars in Taurus wants security. Bullish Mars can stubbornly resist these siren desires and demand Venus hold on to the way things are! Ironically Mars is visiting Venus’ sign so he’ll soon learn she is in charge and will likely get her way! Our goddess is quite feisty this month—interacting multiple times with both unpredictable Uranus and unflinching Mars—and yet she powerfully stands up to these dominating energies as they visit her native dwelling. One only hopes these two plucky visitors don’t trash it completely. As Taurus is the sign of mother earth, we can definitely feel the loving and creative hand of Venus conjoin with the unexpected and somewhat genius talent of Uranus to carve out something uniquely original and yet also concretely sustainable. When do these changes occur? Over the next seven years. When do they begin? Now, as Venus and Uranus host one another in their respective domains. On the 26th of March, Venus moves into Pisces, her sign of exaltation so you can expect to end the month on a much sweeter and less combative mode. Some of the quirky, mega-talented, genius type change-agents possessing Venus in Aquarius include: Ellen DeGeneres, Ricky Martin, Aretha Franklin, Peter Gabriel, Elton John, Janis Joplin, Mozart, Nina Simone and Oprah Winfrey. Where in the Sky is Venus? Venus leaves Sagittarius to enter Capricorn on February 4th and because this is a sign of one of her 5 star points on the current Venus Star clock, it’s an important position for Venus. Sagittarius is an element of fire, so she comes to earthy Capricorn ignited from time spent this last month in the sign of the Archer. What has she been aiming her arrow towards? Has she aimed too high or not high enough? Now that she’s moved into Capricorn, she will get some concrete answers. Is the goal achievable, is it practical and can it be funded? Capricorn has not been a sign necessarily associated with anything Venusian, with the exception that it is a sign of Saturn, with whom she has a fairly good working relationship. This may be due to the fact that Saturn is guardian of two signs, Aquarius and Capricorn and Venus is guardian of two signs, Libra and Taurus. Thus each one has a cooperative and smooth flowing elemental relationship, in this case earth to earth. Thus, the more practical, grounded and earthy instincts of her native sign Taurus is what serves her best while she travels through Capricorn. She will be jumping over some hoops this month, as she meets up first with Saturn, next with Pluto and then with the South Lunar Node. That’s a tall order for Venus this February, the month of love. 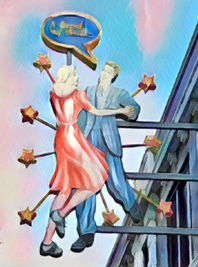 Valentine’s Day, celebrated in February, has always been associated with romantic love, the Eros-Psyche type of love – but Aquarius has more to do with the love of people, of humanity, of a wide-spread group or network of friends, not necessarily focused solely on one-to-one partnerships. That being said, those who are romantically inclined can still take pleasure in celebrating a holiday that celebrates romantics. But keep in mind it is also a time to celebrate the love of our fellow earthlings. Perhaps an office party or a gathering of colleagues, celebrating the team work they do so well together could be the right event to lift the spirits. Capricorn is the mountain goat with the tail of a fish and similar to Cancer, the crab who is its duality point, it can be comfortable on the earth or in the water. It is Capricorn’s tail that’s in the water meaning this goat has sea legs but the Cancer crab is more technically climbing out of the water and drying out on land. In contrast, the goat is found dancing along the rocky cliffs and crags surrounding the ocean. They are climbers, ambitious in nature, but not necessarily trying to race to the top. The Capricorn pace is slow and steady, making sure to take stock of what is right in front of itself while making progress to reach its ultimate destination. Venus in Capricorn or the Venus Star Point in Capricorn can be seen as someone who possesses maturity, poise and wisdom, even at an early age. Unless a rock star (such as Elvis), their look is not usually flamboyant. Rather they typically prefer a more tailored, somewhat classic elegance (as in Sinatra) which displays their sense of style and taste. The “minimalist” trend in interior design, fashion, jewelry and art could definitely be thought of as Venus in Capricorn preferential style. All of our youth, whose births occurred after 1986, will have Capricorn on one of the 5 signs of its Venus Star. This is a signature that has forced this generation to either mature very quickly or to deal with responsibility and adult-sized issues, even while they are young. If they have natal Venus in Capricorn it may be assumed that they are people who can handle such tasks. It would be incorrect to assume that Venus in Capricorn is all about and only about achieving power and status in their life. More accurately, a Venus in Capricorn is intent on possessing a profession which fuels her fire. She is certainly not averse to mating, and Venus in the sign of the earthy goat possesses a rather lusty nature even if she does not always know how to handle it and can be somewhat ashamed of acknowledging it. But the partnership must be balanced with her other love, her work, her career, the sense of fulfillment she derives in doing her job well and knowing that she has made a difference in the world. She is not afraid to tackle issues such as economic equality across either the gender or age spectrum. Venus visits Capricorn once a year and in the past several years has been meeting up with Pluto also in this sign. This year, she greets Pluto, Saturn and the South Node, experiencing a challenging and bumpy ride on her ascent to the top. Additionally she is square Uranus in Aries, creating some sudden turns regarding closeness and freedom or separation. On the 19th of February she will meet her own star point in Capricorn at 18° so this will be a day to open oneself to joy and celebrate all things Venusian – especially after having survived her pass through Saturn’s bounds a few days prior. Venus knows what she wants and though she may need to navigate around several barricades this month, she will eventually prevail. If you are a Venus in Capricorn or are partnering with someone with this placement, remember to honor their wisdom, respect their experience or age and dignify them with consideration and well-thought out contemplation rather than rash emotional reactions or whininess. Above all, honor them by letting them know you are listening to them, regardless of whether you agree or not! Some well-known Venus in Capricorns are: Diane Keaton, Scarlett Johansson, Ronan Farrow, Frank Sinatra, Elvis Presley and Lisa Marie Presley. Be sure to tune in to my new podcast – First Fridays with Venus/! Notice the clustering of Venusian aspects around the 2nd-3rd and 17th-19th and 22nd-28th of the month. Listen to the podcast about Venus for February here.